National Aeronautics and Space Administration (NASA) sends Scientists to Senegal to Capture Occultation to Further New Horizons Space Mission. DAKAR, Senegal, August 1, 2018/APO Group/ — The National Aeronautics and Space Administration (NASA) is sending a team of over 30 U.S. scientists and 21 mobile telescopes to Senegal for a unique astronomical opportunity to view a stellar occultation (when an object passes in front of a star) of a new Kuiper Belt Object, known as Ultima Thule, as part of NASA’s New Horizons space mission. Working in partnership with U.S. Embassy Dakar and the Senegalese Ministry of Higher Education, Research and Innovation (MESRI), the team will conduct tests outside of Dakar before heading to the field to observe and capture the occultation in the early hours of August 4. Senegalese and French scientists will join the New Horizons team. This mission will help scientists learn more about the Solar System’s outer reaches and is an example of U.S.-Senegalese scientific partnership and cooperation. On July 30, MESRI will hold a press conference with U.S. Ambassador Tulinabo Mushingi, the Minister of Higher Education, Research and Innovation, and representatives from NASA New Horizons and NASA headquarters. There will also be a July 30 panel discussion featuring panel discussions by U.S., Senegalese, and French scientists describing the astronomical observation to be done at Senegal. The U.S. Embassy in Dakar is also organizing a science technology engineering and mathematics (STEM) focused event in Dakar with NASA scientist participation as well as STEM workshops in Thies and Louga. Launched in January 2006, NASA’s New Horizons spacecraft successfully flew by Pluto in July 2015 and continues to explore the edge of the Solar System by observing newly discovered objects in the Kuiper Belt to learn about their origins, including Ultima Thule. Dr. Marc Buie, a New Horizons team member from the Southwest Research Institute (SwRI) in Colorado, discovered Ultima Thule in 2014. The August 2018 occultation that will be observed in Senegal and Colombia is a key event in the New Horizons mission. This mission is possible due to a collaboration of many partners working with NASA. The Johns Hopkins University Applied Physics Laboratory in Maryland, designed, built, and operates NASA’s New Horizons spacecraft, and manages the mission for NASA’s Science Mission Directorate. SwRI leads the science team. From France, the Centre national d’études spatiales and the Paris Observatory are sending scientists to participate in the occultation observation in Senegal. MESRI has worked closely with the New Horizons mission and the U.S. Embassy on organizing the logistical and technical aspects of the observation and is coordinating a team of Senegalese scientists to participate in the observations. Author aGuNmAPosted on August 1, 2018 Categories UncategorizedLeave a comment on National Aeronautics and Space Administration (NASA) sends Scientists to Senegal to Capture Occultation to Further New Horizons Space Mission. 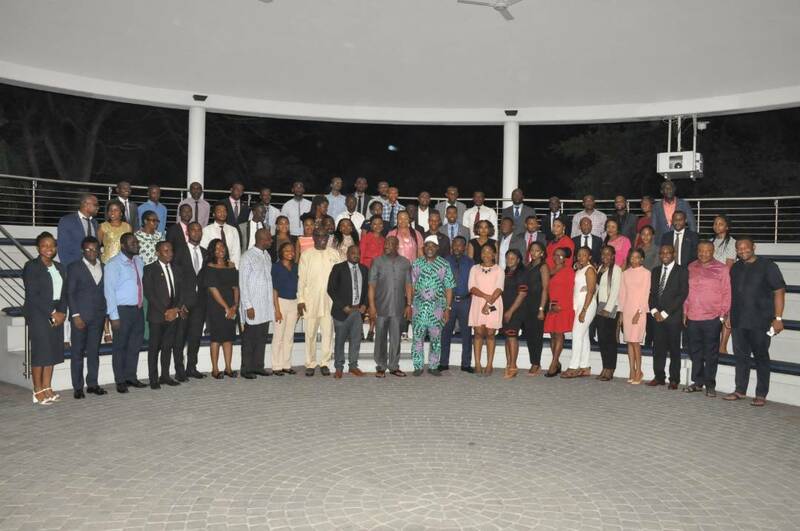 The Lagos State Government on Tuesday inaugurated a special advocacy campaign to engender growth mindset among civil servants and imbue them with the right skills and attitude to contribute to the efforts to fast-track development and set the State on the path of sustainable and inclusive growth. Speaking at a press briefing held at the Bagauda Kaltho Press Centre in Alausa, the State’s Commissioner for Establishments, Training and Pensions, Dr Akintola Benson Oke said the advocacy, which will initially last between three to six months, would be deployed to fight red tapism, complacency and all forms of attitudes that tend to delay progress and development in the civil service. He said adequate arrangements have also been firmed up to sustain the advocacy for a longer period with the ultimate aim of instilling growth mindset in all civil servants in the State. He recalled that since assumption of office, the State Governor, Mr Akinwunmi Ambode had invested heavily in the transformation of the public service through trainings and workshops designed to bring about improved productivity, deepen knowledge, expand horizon, as well as re-evaluate and sharpen the vision and focus of public servants, saying that the new advocacy is designed to consolidate on the gains of the previous arrangements. According to Oke, “We are convinced that by having individual officers of the Lagos State Public Service inculcate the ‘growth mindset,’ we can attain a truly effective, productive and transformational public service that will surpass the expectations of all stakeholders. Also speaking, Commissioner for Information and Strategy, Hon Kehinde Bamigbetan said the advocacy would majorly focus on two tracks of training and communication, and also make civil servants to see the people as customers that must be treated with respect and dignity. The training track, according to Bamigbetan, is meant to ensure that civil servants are trained in skills that will give them right capacity and attitude to take a different view of their services and redefine their work in terms of the content by the audiences and customers who patronize the services of government, while the communication track would enable public servants reorganize their thought processes to change their perception and perspective of what they are supposed to do and therefore give them a more proactive and progressive attitude to the people. On his part, Director General, Lagos State Office of Transformation, Creativity and Innovation, Mr Toba Otusanya said the advocacy was intended to change the orientation of public servants as the State moves from standard mega city to an emerging smart city. He said: “As a State, we are actually moving from standard mega city to an emerging smart city and if we are doing that, it basically means that we need to actually develop public servants of the 21st century; public servants that are smart; public servants that are able to actually cut through red tape; public servants that can think outside the box; public servants that have all the necessary skills to be able to challenge the status quo and proffer solutions and bring new ideas to the table. “Every time we talk about the public service, some of the things we speak about is that the public service is the engine room of government and it basically means that if the engine is not functioning well, as we all know, a car cannot function properly. Rivers State Governor, Nyesom Ezenwo Wike has signed the 2018 Appropriation Bill of the state into law. The governor signed a budget of N510billion passed by the Rivers State House of Assembly. 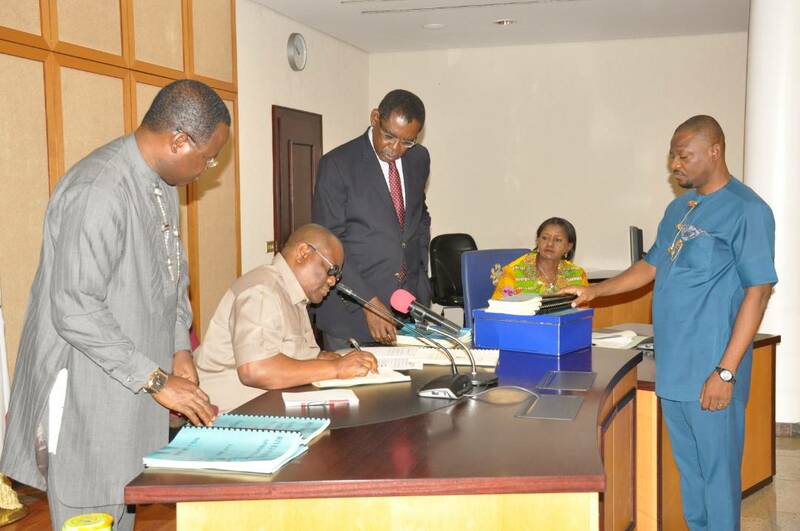 Signing the budget in the presence of members of the Rivers State House of Assembly and the State Executive Council at the Government House Port Harcourt on Tuesday, Governor Wike assured that the budget will be implemented diligently. He said that the Rivers State Government will fast track the implementation of the budget, which will lead to greater development of the state. ‘I commend the State Legislators for expediting the process that led to the passage of the 2018 budget. “You passage of this budget means that we will expedite action on several areas of development. At present, we have already started work”. The governor also called on members of the Rivers State House of Assembly to work with relevant agencies to implement their respective constituency projects. He said that funds for the implementation of the 2017 constituency projects have been released , while that of 2018 will be released after proper account is given for that of last year. The governor also signed the Keenule Beeson Saro-Wiwa Polytechnic Law No. 3 of 2018, Rivers State Waterways Law No. 4 of 2018 and Rivers State Local Government Law No. 5 of 2018. Speaker of the Rivers State House of Assembly, Ikuinyi Ibani assured Governor Wike that the State Lawmakers are committed to the development of the state. He described Governor Wike as a just leader who is working selflessly for the good people of the state. Presenting the bills for assent, Majority Leader of the Rivers State House of Assembly, Martin Amaehwule said that the bills passed through a rigorious legislative process. Chairman, House Committee on Information, Sam Ogeh noted that the public hearings and budget defence sessions ensured that the people participated in the budget process. Mrs Buhari represented by the wife of the speaker of the House of representatives Mrs Gimbiya Dogara was speaking at the three day training workshop on advocacy for Reproductive, Maternal Newborn, Adolescent Health and Nutrition (RMNCAH+N) in Abeokuta Ogun State, Mrs Gimbiya Dogara, noted it was important that every one of us takes responsibility and strategic action to address these concerms in our immediate environment. 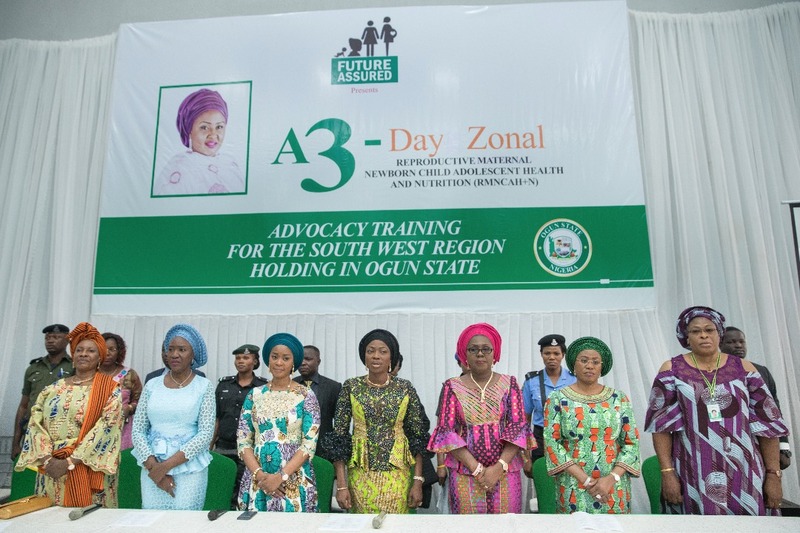 Earlier the wife of the Governor of Ogun State Mrs Olufunso Amosun said no woman should die in the process of giving birth and neither should children die in the process of coming to life. Therefore, adequate healthcare facilities and right nutrition are essential and we should all strive and work towards attaining this. The 2017 event was held to build alliances that will help strengthen advocacy for RMNCAH+N at the state level. Rivers State Governor, Nyesom Ezenwo Wike has stated that the State Government will employ young Rivers doctors to work at new medical facilities that will come on stream this year. 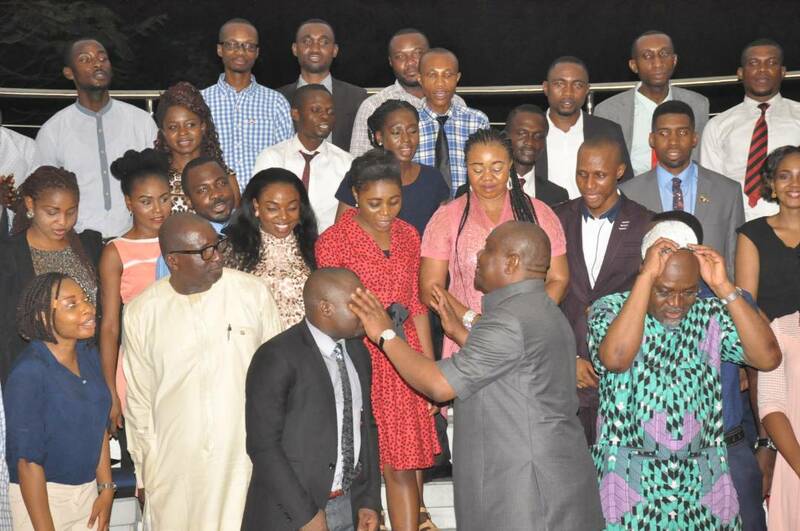 Speaking during a meeting with House Officers of the Braithwaite Memorial Specialist Hospital at the Government House Port Harcourt on Monday, Governor Wike assured the house officers that they would be retained after their internship. The Wike administration will complete the Mother and Child Hospital, Bori General Hospital, Degema Zonal Hospital And Okehi Zonal Hospital this year. He said: “We must start employing our doctors after they complete their internship. This has nothing to do with the economy. “I thank God that we have this opportunity to employ you after your internship “. The governor stated that his administration will assist the house officers to carry out their voluntary medical outreach to less privileged persons. Governor Wike said that the Rivers State Government will continue to invest in healthcare programmes as a means to building the health infrastructure of the state. The governor thanked the house officers for coming forward to appreciate him for approving and funding their internship. Leader of the House Officers of the Braithwaite Memorial Specialist Hospital, Dr Woha Boobondah thanked the Rivers State Governor for giving them the opportunity for their internship. He solicited the support of Governor Wike for the medical outreach programme to be carried out by the House Officers. “The purpose of coming here is to show appreciation to Governor Wike for his developmental strides and the opportunity for us to embark on our internship. “We appreciate him because it was difficult for most of us to be accepted for internship “, he said.